Example: Simplify the function S = Σ(1, 4, 9, 12, 13) and obtain the solutions. Simplify in both SOP and POS forms by means of K-Map. We now draw the respective implementations of Eqs. (2.36) and (2.37) using appropriate logic gates. 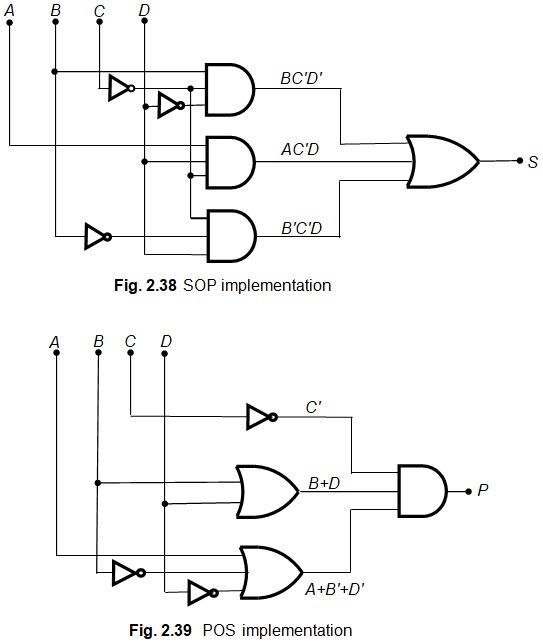 Figure 2.38 shows the implementation of the SOP Eq. (2.38) and Fig. 2.39 shows the implementation of the POS Eq. (2.37). In many cases, we find that the number of gates will be equal in both the SOP and POS forms. In such cases, as explained above, we generally count the total number of input pins of the gates required for implementing the POS and SOP forms and choose the more economical form accordingly.